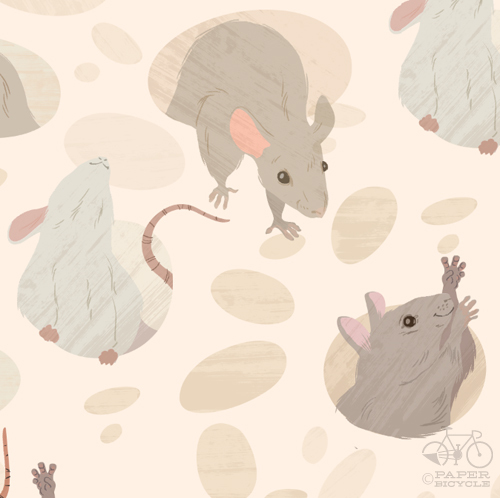 paperbicycle: Daily Pattern : Mice get hungry, too. I think this might be the second time I've drawn some mice. You can't blame me... they're super cute. I don't quite understand how people can't like them - I'll take a mouse as a pet any day. I'm a huge fan of their beady eyes. 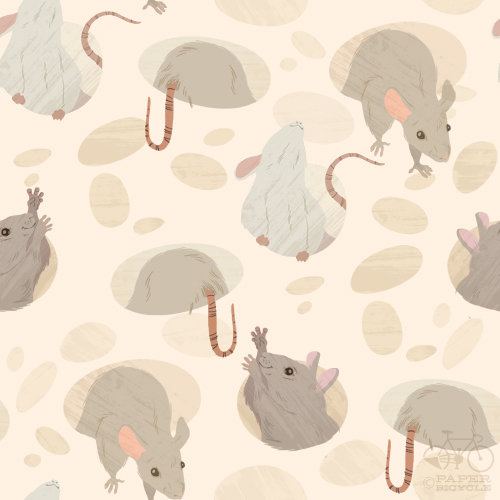 (All beady eyes, actually) Well, here you go, some sweet mice playing around (And probably getting ready to feast) on some swiss cheese. Super appetizing!